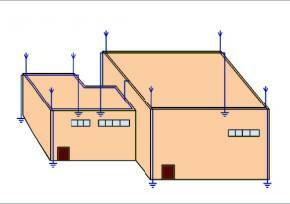 Lightning Protection System A complete system which permits the protection of structures facilities and open areas against the effects of lightning. 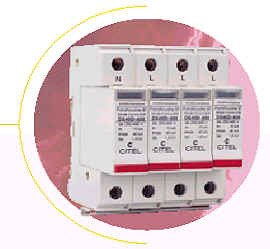 This consists of an internal and external system of lightning protection. Devices used to cover the frame of a building f-rom elements situated in the exterior of the building and people. Active protection: Arresters that by one means or another, emit an ion flow directed towards a cloud , increasing the probability of disc-harge over them. INGESCO PDC. ESE lightning rod approved by UNE 21186. It has been manufactured since 1984. The INGESCO Air Terminals have a NON electronic early streamer emission device which leads of lower cost of maintenance, as well as a guarantee of functionality after various disc-harges. Invented by Benjamin Franklin in 1760, this device is the most common and historically perhaps the best known. This system is formed by one or more capture pointed situated at prominent areas of a structure. Statistically its zone of protection is calculated in a radius approximately equal to the height of the air terminal f-rom the ground. 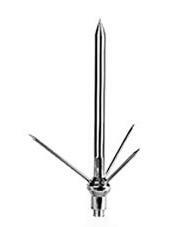 Franklin Lightning Rods are the optimal system for protecting structures whe-re height dominates the area to be protected. 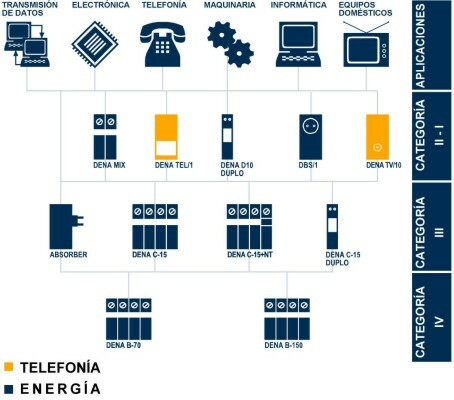 All equipments connected to the mains, telephone or data networks are exposed to the effects of surges. Transitory surges are very high spikes of voltage of the order of kV, that can infiltrate through the electrical, telephone and data lines. These spikes are of very short duration (ms) and for this reason the normal, fusible, magneto-thermic protective equipment, differentials, etc.. are not designed to detect or to react to this type of phenomena. Atmospheric origin directs or indirect disc-harges. 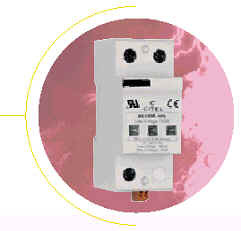 Connection and disconnection of equipment in the own company or high current consumers. Inoperability of computer and communication systems. Destruction of electronic components of robots in industries. The installation of scaled transitory protection elements is indispensable, in that in a convenient, simple and practical way, security and continuity of use of electric and electronic equipment is ensured. Adequete se-lection of electric disc-hargers.